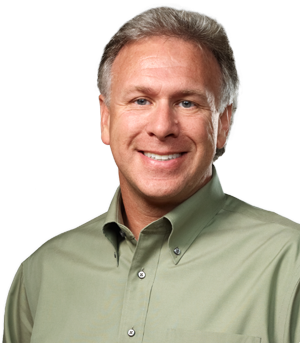 With just hours to go before Samsung is expected to announce the next-generation Galaxy S4 smartphone, Apple Senior Vice President of Worldwide Marketing Phil Schiller offered his thoughts on why devices running Google's Android are inferior products compared to the iPhone and iOS. In a rare interview with The Wall Street Journal, Schiller went over fourth quarter 2012 metrics related to "switchers," or handset users who switched between an iPhone and an Android. Citing Apple research, the executive said that four times as many iPhone users switched away from Android than to a handset running Google's mobile OS. Schiller also pointed to one of the major shortcomings of the Android platform: fragmentation. He noted that many Android users are running old versions of the OS, whereas Apple's implementation of iOS is more uniform. "Android is often given [as] a free replacement for a feature phone and the experience isn't as good as an iPhone," he said. Digging into the Android ecosystem, Schiller noted that because different elements of the UI originate from different companies, the platform "suffers." While sometimes derided for being a "walled garden," Apple's system of controlling both hardware and software allows for a more cohesive and user-friendly experience. "When you take an Android device out of the box, you have to sign up to nine accounts with different vendors to get the experience iOS comes with," he said. "They don't work seamlessly together." Samsung is scheduled to unveil the newest flagship Galaxy S4 smartphone at an event in New York on Thursday night.